Home / Celebrity / Pearl Thusi / Thandiswa Mazwai / Did Thandiswa Mazwai Just Admitted To Having A Crush On Pearl Thusi?! Did Thandiswa Mazwai Just Admitted To Having A Crush On Pearl Thusi?! Did Thandiswa Mazwai Just Admitted To Having A Crush On Pearl Thusi?! We love Pearl and Thandiswa’s friendship but is King Thandiswa crossing the friendzone line? Well, after mentioning how socially awkward she is, Thandiswa was called out for “lying” by her good friend Pearl Thusi which led to a revelation. 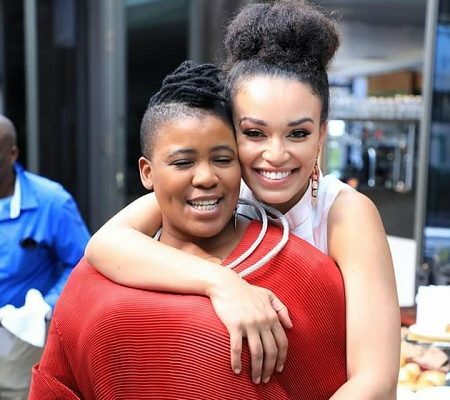 Thandiswa admitted she had a little crush on her friend Pearl Thusi but had to gather herself. “I’m always so awkward around you though…coz I had a small crush..but I pulled it right back,” she tweeted.